Jeff Lindsay, PHD, is the Director of Solution Development at Innovationedge, a management-consulting firm that specializes in strategic innovation and growth. He is a U.S. patent agent, an inventor with over 100 patents, and the former corporate patent strategist of Kimberly-Clark Corporation. Cheryl Perkins is the founder and President of Innovationedge, as well as a thought leader in innovation and a creative catalyst in brand-building initiatives for companies looking for that innovative edge. In 2006, BusinessWeek chose Cheryl as one of the "Top 25 Champions of Innovation in the World." Mukund Karanjikar, PHD, is a senior associate at Technology Holding LLC where he pursues break-through innovations in energy and the environment. He is a champion of collaborative innovation in energy and related fields. His publications span idea management, new product development, and open innovation. Chapter 1 An Introduction to Innovation Fatigue. Chapter 2 The Funnel vs. the “Horn of Innovation”. Part II: People Fatigue—Problems at the Individual Level. Chapter 3 Enduring Innovation Fatigue: Another Look at Television. Chapter 4 Fatigue Factor #1: Theft and Exploitation. Chapter 5 Fatigue Factor #2: Innovator Deficiencies. Chapter 6 Fatigue Factor #3: The “Not Invented Here” Syndrome—An Irrational Lack of Exuberance. Part III: Fatigue Factors in the Organization (Strategy, Culture, Actions). Chapter 7 Fatigue Factor #4: The Silent Innovation Killer—Breaking the Will to Share. Chapter 8 Unintended Consequences: Reinventing HP. Chapter 9 Fatigue Factor #5: Fundamental Flaws in Decision Making and Vision. 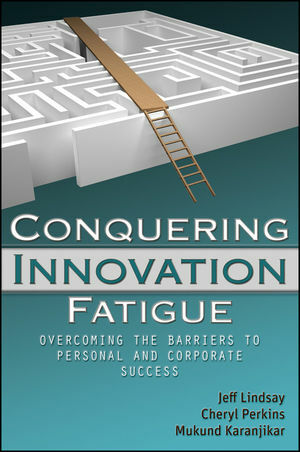 Chapter 10 Fatigue Factor #6: Open Innovation Fatigue. Chapter 11 Case Study on Overcoming Fatigue: Hi-Tech Gems from the “Low-Tech” Paper Industry. Part IV: External Fatigue Factors. Chapter 12 Fatigue Factor #7: Patent Pain: Barriers to Intellectual Property Protection. 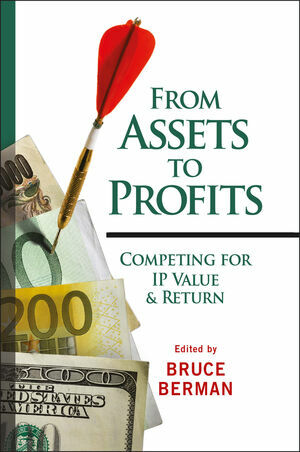 Chapter 13 When Questionable Patents Are Allowed to Sprout: Another Form of Patent Fatigue. Chapter 14 Fatigue Factor #8: Regulatory Pain: Challenges in Policy, Regulation, and Law. Chapter 15 Orion Energy Systems: Creative Solutions to External Fatigue. Chapter 16 Fatigue Factor #9: University-Industry Barriers. Chapter 17 Innovation Fatigue in the Pulp and Paper Industries (Forest Bioproducts): Why “Innovestment” Matters. Chapter 18 Guidance for the Lone and Corporate Inventor. Chapter 19 Energizing Theory: Disruptive Innovation and Disruptive IA. Chapter 20 Further Guidance for Management. Chapter 21 Da Vinci in the Boardroom? Chapter 22 The Impact of Financials on Innovation. Chapter 23 Guidance to Government and Policy Influencers.